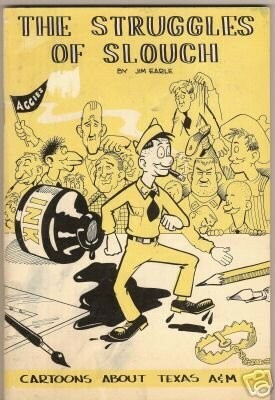 Cartoonist and teacher Jim Earle has passed away. 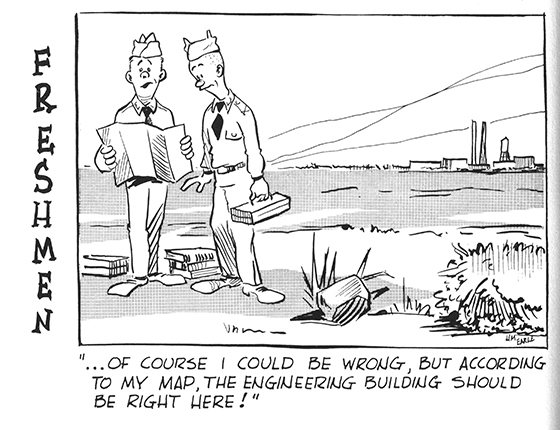 After completing his architectural design degree, Earle began a 38-year career as a professor (and later department head) in the Department of Engineering Design, now Civil Engineering, during which time he simultaneously pursued a master’s in industrial education (1960) and a Ph.D. in education (1962). 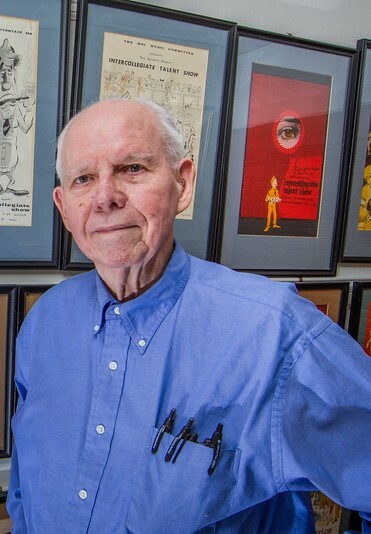 During his time at Texas A&M — both as a student and later as a professor — Earle became widely recognized for his work on Cadet Slouch, who went through various timely changes from 1953 to 1985, when Earle’s last comic was published. Earle’s signature character gained immense popularity with both the students and the administration. Spurred by positive feedback from his early efforts, his occasional drawings became daily. By Thanksgiving 1953, Earle had developed his identifiable lead character, Slouch: the Aggie who always tried to make things work out, but never could. He also developed Slouch’s roommate sidekick Simp (short for Simple), who knew life didn’t work out and didn’t care. 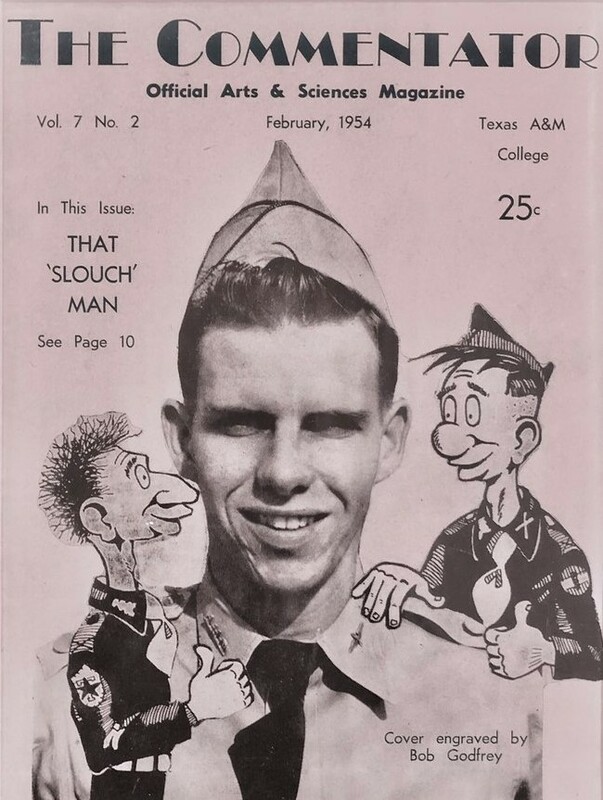 In 2017 Texas A&M remembers Cadet Slouch. More samples of Cadet Slouch. On the occasion of his passing the Bryon (Tx) Eagle profiles Jim. 24 queries in 0.179 seconds.